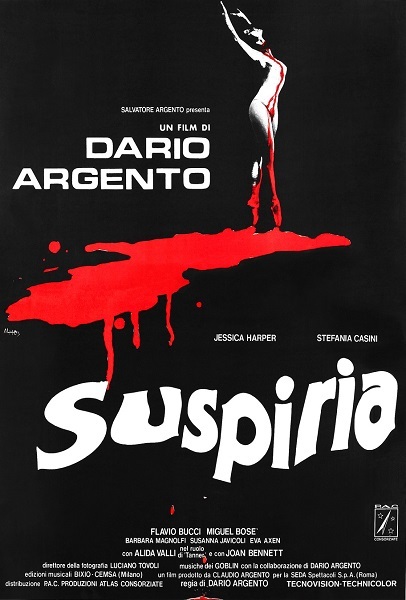 The only thing more terrifying than the last ten minutes of our new episode on Dario Argento's Suspiria are the first seventy-two. Corinne and Tim discuss how the film incorporates elements of fairy tales, point out the futility of remaking the movie, and warn of the psychological hazards of watching an Argento film under the influence of pain medication. Warning: Contains explicit language, spoilers, and a random bat attack. How do you prefer to store your barb wire? Is there a particular vintage of possibly-drugged wine you'd recommend downing before bed? Have any dance school horror stories to share? Leave a comment and keep the conversation going. I honestly haven't seen as many of Argento's, probably only about six, and I definitely have had similar problems with his movies. Story and characters have never been his strength, with the script often existing solely as an excuse to hang some fantastically-designed set pieces on. I have similar issues with Fulci. 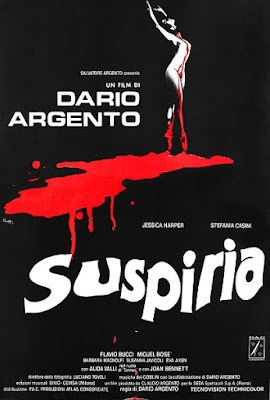 I did come around on Suspiria, but it was his more straight-forward murder mystery films like Deep Red and Tenebrae (which might still be my favorite of his) that helped get me into his work. While I own Cat O'Nine Tails, I still haven't watched it yet. Must get to that one soon!